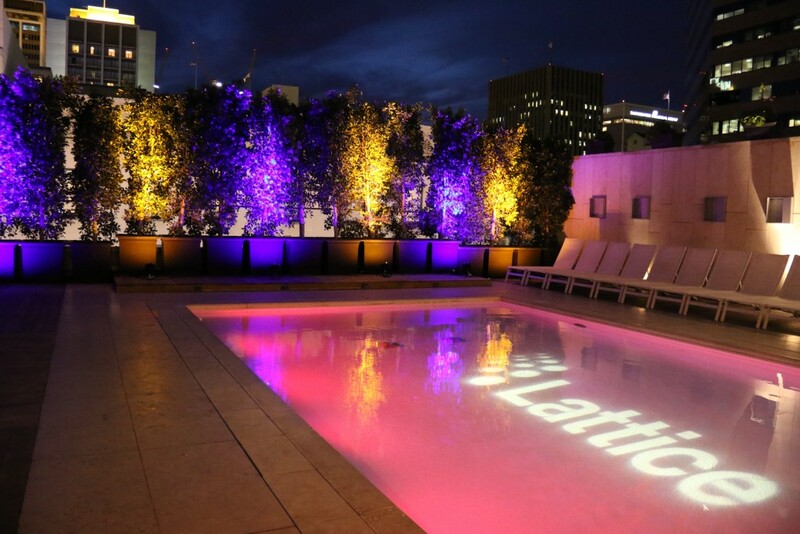 Here’s an idea: Take all Lattice employees at each office location (we have five) and bring them together in one city to kick-off 2016 with inspirational content, fun events and one hell of a week. 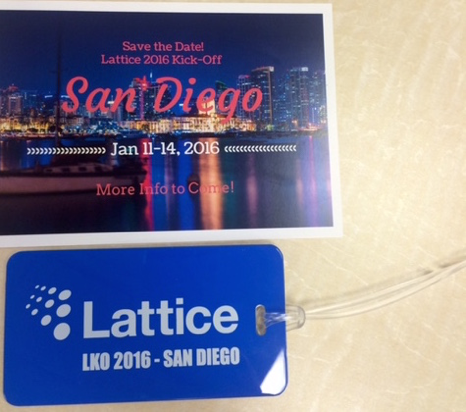 That’s exactly what I was tasked with late last summer and what ultimately became “Lattice Kick-Off 2016”, or as we like to call it “LKO 2016”. Let’s start from the beginning – I had five months to find an awesome city with an amazing venue to pull off this awesome event that our company had never experienced before. I also had pretty much free reign to decide where this would be. First thought – January is COLD. Let’s go somewhere warm and sunny! San Diego – check! So I set up meetings with every mid-size hotel in the city and jumped on a plane to spend two full days doing site visits. When I finally visited the Hotel Palomar it was perfection from the start. The hotel fit the size of our group to a tee. We would take over every meeting space it had and the majority of its hotel rooms. Not to mention, the staff was incredible, the décor was modern and cool and the food was delicious. I just knew our group would love it. Next step – decide on a theme. Every great company kick-off needs to have an inspirational theme. 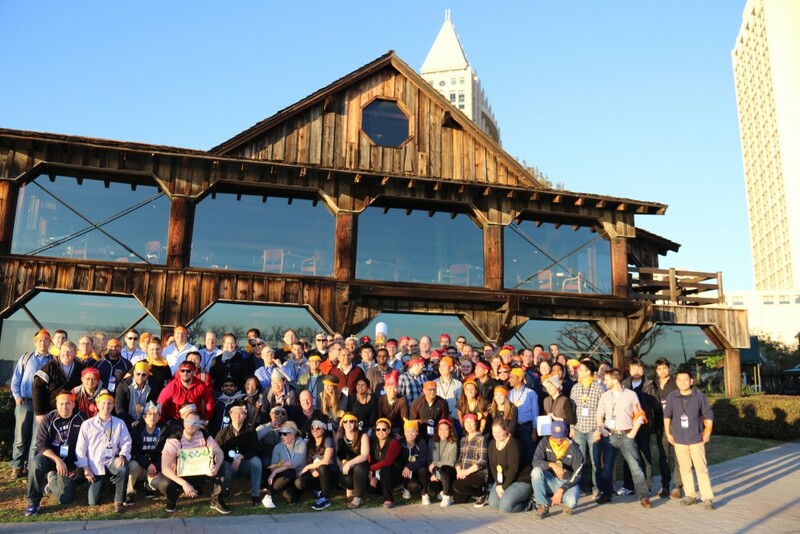 Since this was the very first time Lattice was hosting this type of event, we realized so many of these employees have never even met each other! We decided on the theme of “One Lattice”. 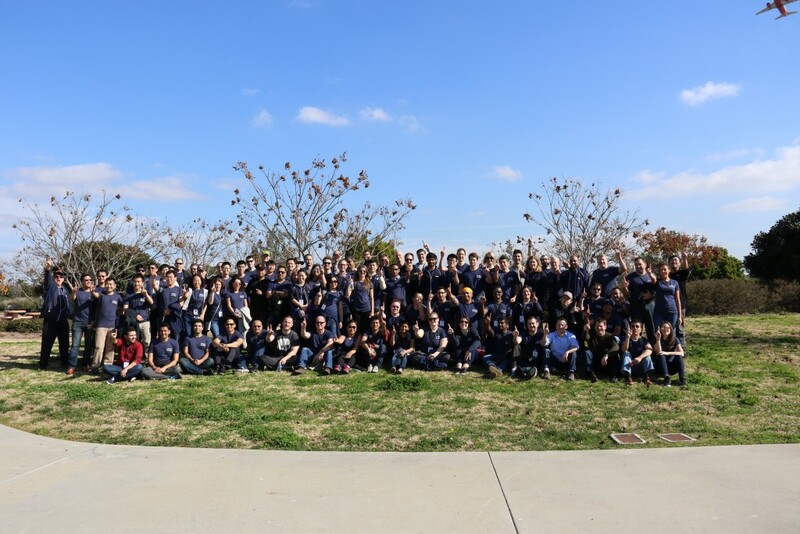 This was about bringing together our employees through special activities, networking, dinners, meetings and volunteering to ultimately get to know one another and agree to a common set of goals for 2016. Check! Now the tricky part – what was this week going to look like? How do we help these employees get to know each other? And how should the content be presented so that every employee feels great about Lattice when they go home? Everyone checked into the hotel and got settled during the day. 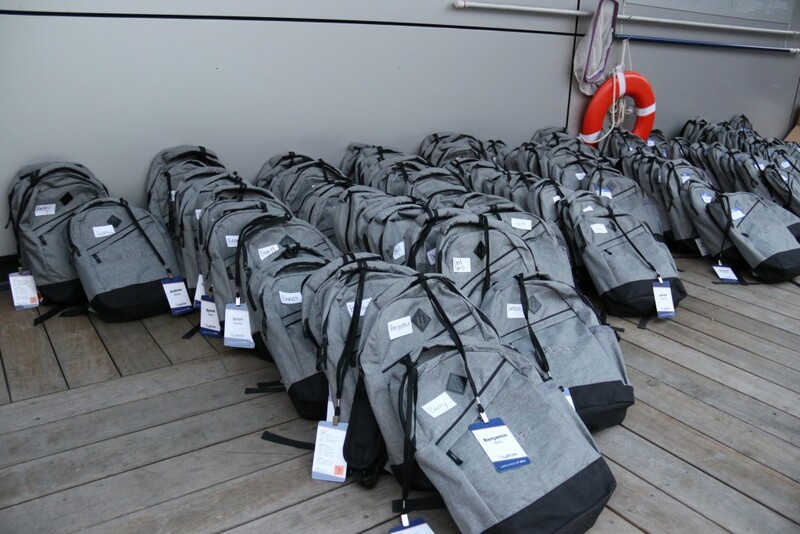 In the evening, all Lattizens were invited to a welcome reception on the pool deck where they would pick up their badge and backpack for the week. The backpack had a handy booklet of information as well as other goodies that were needed for the week. 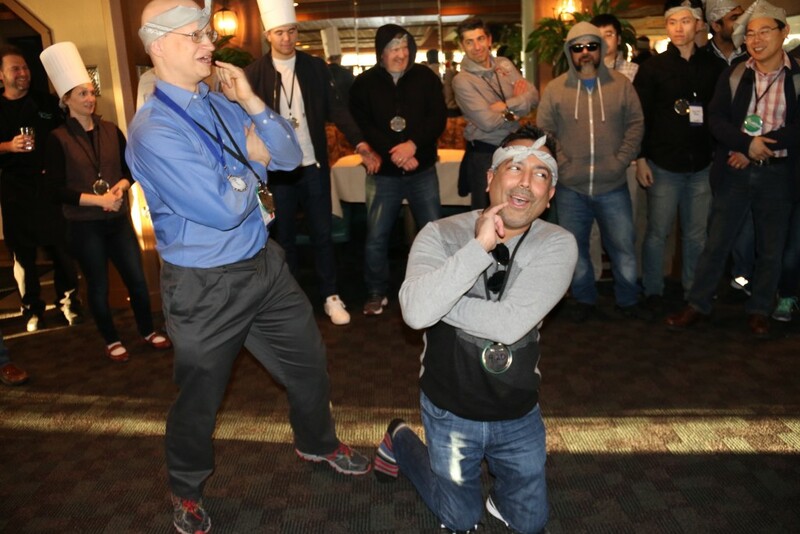 We also had an icebreaker game that encouraged employees to meet people and ask them questions in order to win. (Amazon gift cards were the prize – who doesn’t love that?!) Ultimately, nearly every employee participated. In addition to open bar and food, we also had a fun photo booth where everyone could get silly and loosen up. This day was packed full of content and fun! We started with a presentation of 2016 goals/visions straight from the CEO, and then gave each department a chunk of time to present their own plans for the year. Part of the content was unveiling a project that had been in the works for quite some time. 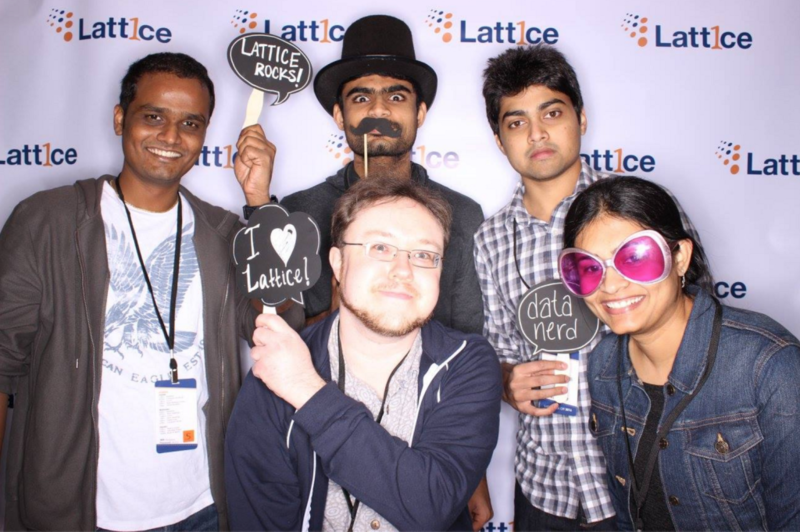 Lattice was in need of a revamp on our core values; so 11 employees volunteered to come up with these values and presenting them to the rest of the company. This was one of the highlights of the day as it provided a clear vision of Lattice’s principles moving forward. A culinary challenge! Not just any culinary challenge – this one involved marketing and selling your food to the rest of your company. 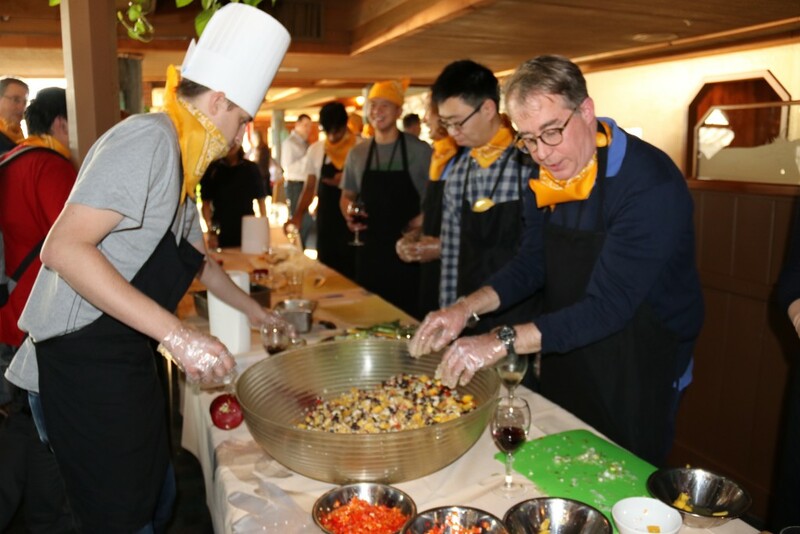 Teams had to make the food (with the help of professional chefs, of course) and then find a way to convince everyone else that they had the best food through a 30-second commercial and logo design. Needless to say, it was crazy fun and loosened people up in ways I didn’t think possible. 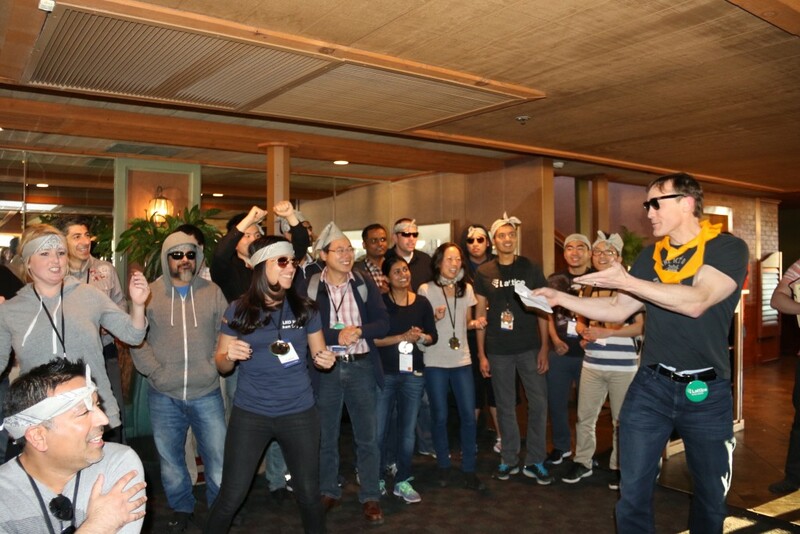 Does your company’s president rap to his own version of “Ice Ice Baby”? Well ours did! Ok, back to content. We used this day to give individual teams the opportunity to do their own mini kick-off meetings so they could dive deep into their annual planning. This was important because each team needed time to get into the details and set their own goals for the year. After a “wine down” happy hour that evening, we asked everyone to dress-up a little and head to a nice restaurant (BiCE) for a sit-down company awards dinner. We fancied up the restaurant with floral arrangements, up-lighting and custom menus. 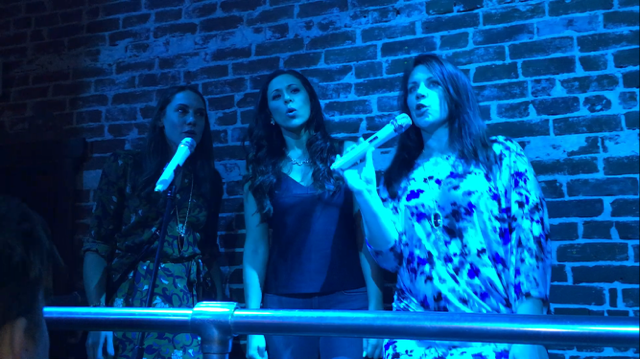 Our employees were definitely “wowed” and excited about the evening. 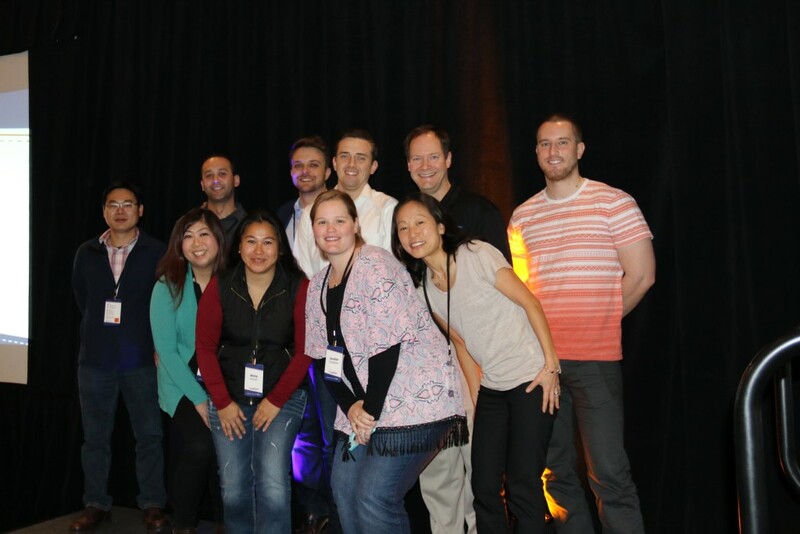 After Lattice’s CEO, Shashi Upadhyay, gave out a handful of awards to deserving employees, it was time to eat! You can’t go wrong with delicious food and plentiful wine. The dinner was the perfect way to end our last night in San Diego. We ended the week with what’s really important – giving back! We decided to ask everyone to stay for the morning of the last day to help clean up a park near the San Diego Airport – Liberty Plaza. What better way to end a great week than by giving back to the city that helped us have all the fun? It’s also worth noting all of the communications to employees leading up to the event. We started back in September by giving everyone an LKO luggage tag and post card with the dates and location. We wanted to just tease them with what was to come. It worked! Next was a series of emails/Yammer posts (eight total over five months), with each leaking additional information about the event. During the week of LKO, Lattizens received an email each night letting them know about the happenings the next day. We communicated every detail multiple times so there were no questions as to where they needed be, what to wear and what the agenda was for that day. Special credit to Heather Foeh, Lattice’s former head of culture and customer advocacy. Heather worked incredibly hard coordinating the leaders of each department to ensure their content was aligned with the “One Lattice” theme and relevant to all employees. This was a huge task as we wanted to make sure our employees walked away feeling motivated, inspired and excited for what’s to come. And as I always say, I’m not a “one-woman” show and I absolutely couldn’t have done it without the help of some of the marketing team. Amanda Maksymiw, Caitlin Ridge and Madeline Wiesner – thanks for coming early, staying late and eating lots of chocolate with me when I was stressed and running on no sleep.